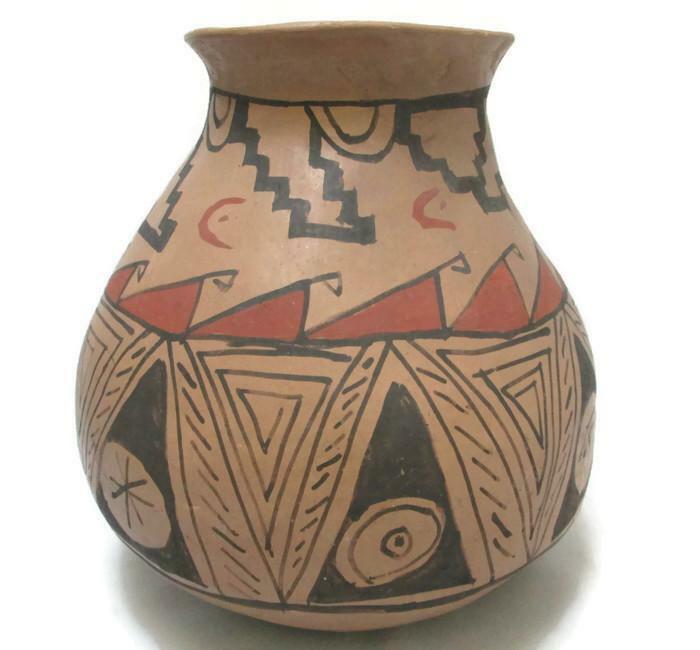 This Mata Ortiz pottery olla--or jar--has designs based on the excavated pottery of the pre-Hispanic town of Paquimé, home of the Casas Grande people, in the Mexican state of Chihuahua. It's a large pot, measuring 8 1/2 inches tall, 8 inches across the belly and 4 1/2 inches across the mouth. Weighing 2 pounds 5 ounces, it's in excellent condition, with no cracks or chips and just a few paint flakes (the only noticeable one is shown in photograph #3). It's fire-darkened, particularly on the bottom. 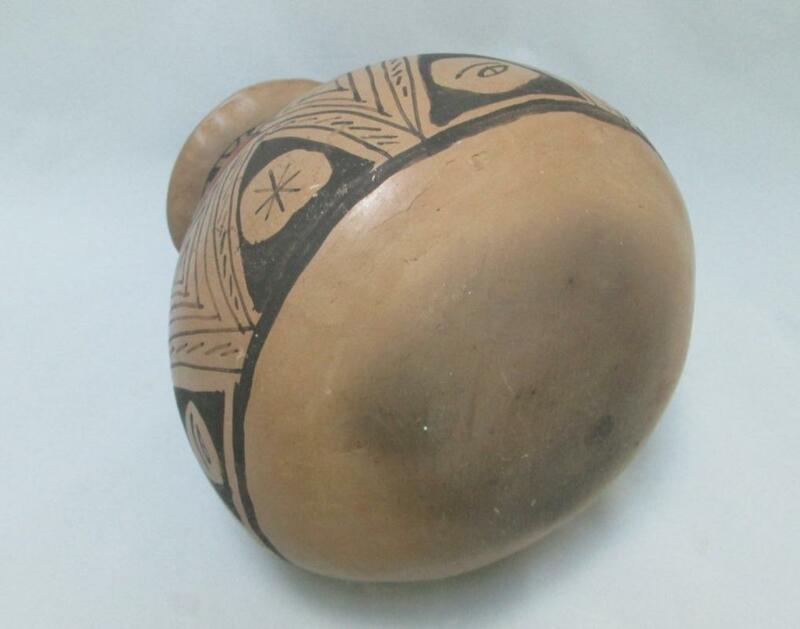 This is the reason that the pot has an equator line, sometimes called the transition line (shown in photograph #2); if the pot was to be placed in the fire for cooking, then the bottom was not painted. 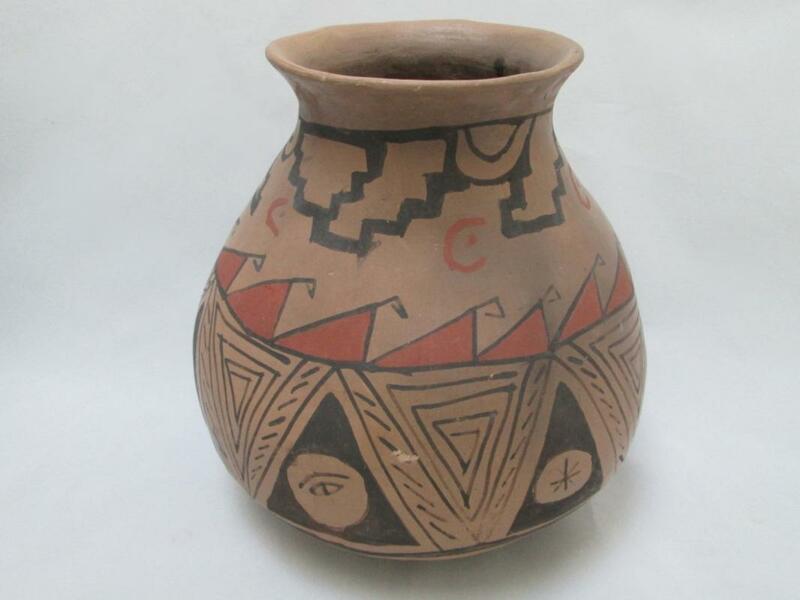 The hand painted designs on this pot are repeated geometrics in black and red on the smoothed clay, our favorite being the eye with its eyebrow. The interior is partly smoothed but still rough and obviously handmade. After the town of Paquimé, with its some 2000 adobe rooms, was burned around 1340, the art of creating this pottery disappeared for centuries. It was not until the archaeologist Charles Di Peso excavated almost half the site in the 1950’s and 1960’s that the pottery sherds that were found resulted in a renewed interest in pottery making in the nearby town of Mata Ortiz. 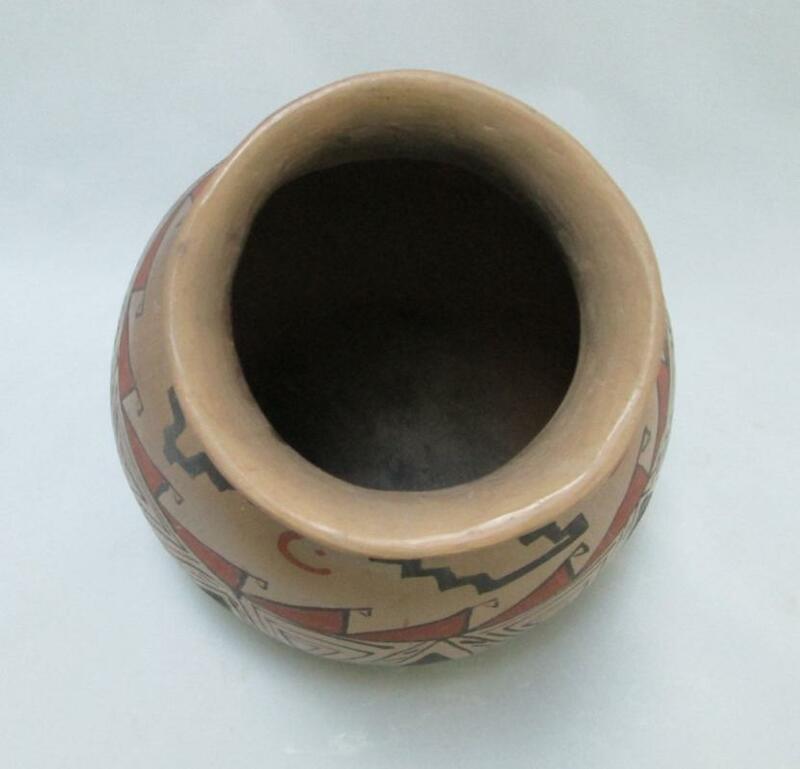 This pot is in the traditional ancient Casas Grande style.